Our mission at All Eyes On Rockville is to offer the most comprehensive and personalized eye care in the Rockville, Maryland and Washington, DC area. Our eye doctor and opticians are all highly trained experts in the field of eye and visual healthcare. We believe that the eyes are the windows into one’s overall health. We therefore take a comprehensive approach to eye care, focusing on all aspects of health and wellbeing. At All Eyes On Rockville, we take the time, utilize our expertise and work closely with experts in related fields to offer real solutions to real problems. We encourage you to read about the services we provide, and to contact us if you have any questions or would like to schedule an appointment with our optometrist in the Rockville, Maryland and Washington, DC area. 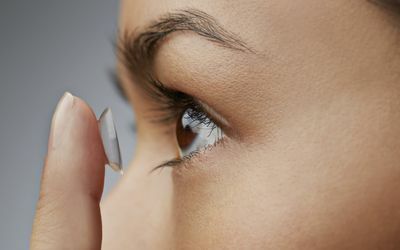 Read more about Comprehensive Adult Eye Care. Read more about Comprehensive Pediatric Eye Care, the Infantsee Program, and check out our Kids Zone to get your child excited about their visit! Read more about Binocular Vision. Read more about Computer Vision Syndrome and Digital Eye Strain. And, access our easy, how-to guides about best care practices. Read more about Ortho-Keratology information (Ortho-K). Read more about our Refraction services. Read more about Dry Eyes or Ocular Surface Disease. Read more about flashes and floaters. Read more about keratoconus here. Read more about Macular Degeneration. Read more about allergies of the eye. Read more about the Infantsee program. Read more about nutrition and ocular health. Read more about sun protection for the eyes.